The Trade Show blur... We have been there. Walking aimlessly down aisles and meeting hundreds of people. Your feet hurt, but not as much as your wallet from the price of that rented trash can. Your goal of attending was to find that "One" partner or idea that would light your company on fire. Then reality sets in. The day ends and you're wondering if any of the contacts you made will pan out. Most of them are non-decision makers. Do you trust any of the people you met? You hardly know them. You return home scratching your head and wonder if randomly networking via LinkedIn is just as good. Can one build deep, meaningful, business relationships and achieve a strong return on investment at an Expo or through a computer screen? The answer to that question is what led us to create Carpathia. So stop walking down aisles and start walking on isles. Carpathia Summits are completely different. We start with growing, thriving industries we have vast experience with, such as Hospitality, Healthcare, Corporate Safety etc... Top, true decision-maker buyers within the industry are fully vetted, and if they qualify, are invited to attend the event. They are matched up (at "Bucket-List" resorts) with the leading industry suppliers that offer innovative products proven to deliver exceptional ROI. In addition, the suppliers must be capable of handling big deals and fast, sizable growth. It's not just Carpathia's audience that is vastly different… it's our unique summit format. It is designed to create deeper, more meaningful relationships that are absent in today's sales and marketing world. Take a look below at the DMA (Data and Marketing Assoc. ), Entrepreneur Magazine, and Statista Inc. reports. Face-to-Face Summit Networking dominated when it came to sales conversions compared to typical marketing channels. Just think about it... it makes sense. Think of your past sales close rates with your contacts and referrals versus cold calls. Not to get you over excited... but the unique bonding techniques at a Carpathia event is likely to bring you even higher conversion rates than these. Have you found the paradise wonderland of sales conversion? We think so! Join us and let's find out. you have never seen a summit format like this one. Why is this format stronger than a Tradeshow? It's a fact that 92% of Tradeshow attendees attend a show to "See all the new products." This is fine, but we ask the question, do you really want to spend the majority of your time with tire kickers that simply want to see the new cool stuff... or are you looking to find partners that are searching for long-term relationships with your core products or services? The Summit's Buyers (invitation-only) are major players. Whales. Many of Carpathia's Buyers are successful C-level purchasers or owners, looking to find that perfect business supplier they can trust. Others are looking for that one innovative solution that will help revolutionize their business. Some of the Buyers have the goal of finding one-stop-shop vendors that have the capability of supplying to all of their multiple locations. Everyone has a dream "Bucket-List" destination in mind… and perhaps a "Bucket-List" of people or companies they wish they could network with to rise to the next level. A Carpathia Summit delivers all of this in just a few days. The fastest way to build relationships is through shared experience. Wake up...It's time to bond. Buyers and Suppliers will be paired up on networking adventure teams. (Using preferences indicated from the matchmaking data). It's likely these events are on your bucket list. There are several Adventures offered at each event. What are the adventures? We have to keep these under wraps so as not to spoil the surprise... but let's just say you will form relationships and bond like no other event you have attended. Hints? Competitions, Team-Work, Partnering on fast-moving sailing yachts, or perhaps you choose to take an excursion by helicopter to a glacier top (sorry… we provide the pilot). Physically challenged? Recently toss your back out? No worries, there is an adventure that fits everyone. Carpathia's Summits are much different than typical meetings, trade shows, or events. They create unparalleled, relaxed, relationship bonding friendships and once-in-a-lifetime experiences with people that can change your life…. for the better. The friends you make will be lifetime. Can't say this about a trade show or mailed marketing piece. The ice has not been broken, but rather "shattered" by now. You have made friends through common experience, bucket-list adventures. Now it's time to get down to business and discuss possible major partnerships. You will have several personal, face-to-face, Discovery meetings with the top Buyers that have been matched to you. The partnership Discovery format is very productive. Top-line, decision-maker Buyers will meet one-on-one with each innovative Supplier. Each meeting is 20 min in length. All meetings are scheduled to reflect mutual needs and interest. Carpathia's robust matchmaking algorithm software will assure both sides are expertly paired, maximizing your return on investment. It's not what one would typically expect. There are no lanyards and cheap floppy trade show badges, no long hallways or random vendors barking out your name as you walk by as if they know you. Your feet won't hurt from walking, but you may have to wear beach sandals to protect them from the sand crabs. Gourmet Dining, Social Networking, and Round Table Discussions. Doesn't get better. 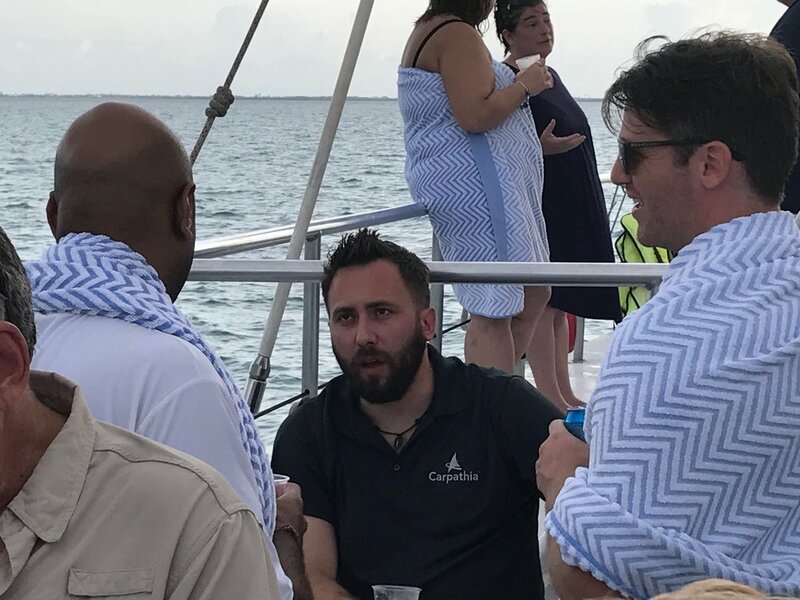 The One-On-One Discovery meetings, and the teamed Adventure Networking activities introduce and bond the Buyers and Suppliers… but lets face it, some simply like to socialize like Kings, Queens, and well... the occasional Jesters. Carpathia's summits include gourmet dining and cocktail events throughout the summit. Into learning? There are several moderator-led, Round Table meetings and Panel talks where you will find yourself a part of key industry discussions that deliver proven economic, operational, and sales and marketing advice to both the Buyers and Suppliers. Being surrounded by and bonding with an amazing like-minded group that represents literally billions of the U.S. economy you will find to be both energizing and yes… Fun! Be Assured of a few things. We can assure you a few things... You will head back home checking off a bucket-list destination and adventure. You won't go home hungry, nor will you go home without a handful of potential partnerships, ideas, or advice that can change your life and your company's future for the better. The new friendships are everlasting. It's the Carpathia way. the return of relationship buying and selling. it’s about bonding. 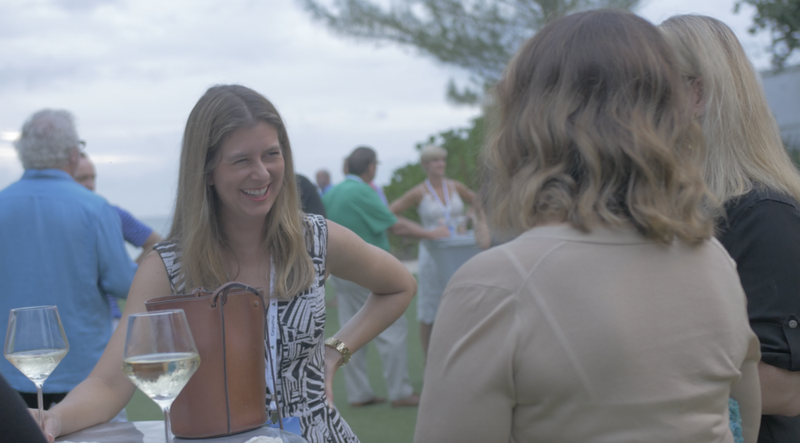 Yes, a Carpathia Summit delivers great insightful keynotes, amazing top of industry panel discussions, targeted round table meetings etc… but the biggest value is the bonding magic that occurs. You will build meaningful relationships with people that can change your life for the better. Nobody wants or can be “Sold” in today’s world where information and competitive pricing is a computer or phone screen away. Carpathia returns us all to relationship based deal closing. It’s about finding and building trust. It's not ALL about the bucket-list destinations, often in parts unknown, or even the bonding adventure you choose. It’s about the people. Recruiting quality industry leaders (that are fun!) is what Carpathia does best. Climb aboard and try it. Welcome to the future. You may never go to a Trade Show again! Thank you! A Carpathia networking consultant will be in touch soon!